Q: When opening a PDF file on PDF Studio, is it possible to dismiss Pages Panel or display different tab by default? 3. 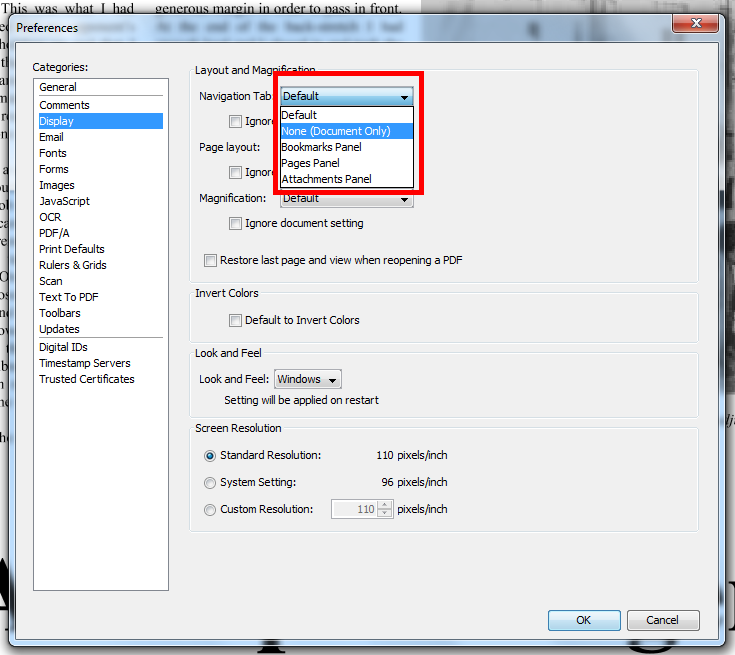 On Navigation tab dropdown box, select the option to be used when opening PDF files. 4. Select OK and re-open PDF file.